Celebrate sushi with these vibrant variations. 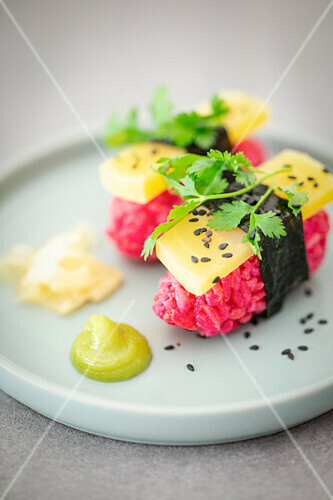 Beautifully bold natural colors pop against the white rice and black seaweed wrap. Beets, mango, papaya, shiitake, tomato, sweet potato, and melon bring their fresh flavors to these rolls.